Just moments ago we passed the $1,000 mark in our fundraiser for the creation of the short film Moon Bear! To find out more please visit our kickstarter.com website where you can read, hear, listen and eventually donate! 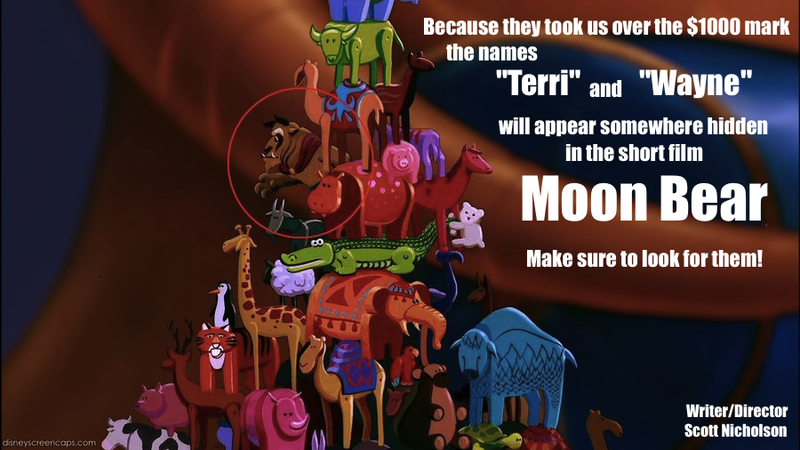 Enjoy this article about the process of Moon Bear on the A113Animation Blog…. HERE and Article #2 HERE! This entry was posted in Podcast News and tagged Animation, Cartoon, dollars, fundraising, help, kickstarter, moon bear, prize, share. Bookmark the permalink.